‘Inspirational, funny and wise’ - Kit de Waal, author of MY NAME IS LEON. Queenie’s life is not going to plan. She and her long-term partner are on a break that has no end in sight. She’s been forced to move out of the flat they shared together and into a disgusting sharehouse. She is floundering in her job, a job that she’d planned to use to take the journalistic world by storm. No matter what step she takes, she feels judged, or like a failure. In her unwanted state of singledom, she turns to dating apps to forget about her ex. But all of the men she dates are terrible – they fetishise her race, and some even physically harm her. Queenie’s mental health is declining, and she doesn’t have the ability to recognise what the people who love her can clearly see. 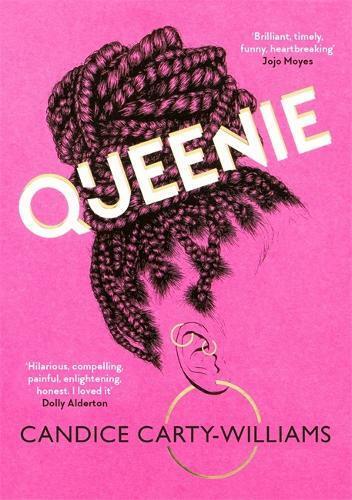 When her mental health takes this turn for the worse, Queenie is unfairly dismissed from work and must move back in with her traditional (and hilarious) Jamaican grandparents. Eventually, and quite reluctantly, Queenie seeks professional help and starts to get her life back on track. I adored the character of Queenie so much – she is honest, loveable, flawed, and unapologetically herself. She is also incredibly strong, but in unexpected ways. I was almost physically cheering her on as her recovery progressed, especially as she leaves all of the horrible men she had been dating behind. This book delves deep into issues such as white privilege, sexism, racism, emotional labour, heartbreak, betrayal and internalised misogyny, but does so in a way that is readable and still very enjoyable. I am in awe of Candice Carty-Williams’ skills as an author – she writes with excellent clarity, insight and keeps her sense of humour even when delving into grim topics. To boil it down to a single sentence, this is a very good book about a very bad year. It’s the kind of novel you’ll want to read in one sitting, crying and laughing through each wonderful chapter.